CBS has unsurprisingly ordered a full season of newbie drama SEAL Team. 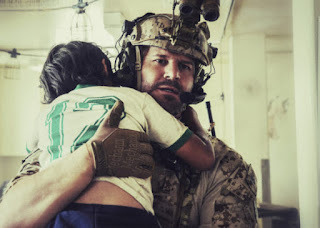 The show, starring David Boreanaz of Bones and Max Thieriot of Bates Motel, follows a team of, well, Navy SEALs, who go on dangerous missions to protect the US. The show has been a decent ratings performer thus far, averaging a 1.3 after its first three airings. SEAL Team is the second CBS show, after Young Sheldon, and the second drama, after The Good Doctor, to receive a backorder this season. Fellow CBS shows Me, Myself & I, 9JKL, and Wisdom of the Crowd have yet to receive any extensions. SEAL Team season one will now run for twenty-two episodes. What do you think of this news? Was this a smart decision by CBS? Are you excited for more SEAL Team? Let us know in the comments below!